Gerhard Richter's artistic contribution is internationally considered within the highest tier of this era; his inimitably diverse canon evidencing more than five decades of philosophical enquiry into the core natures of perception and cognition. Indeed, with its poignant critical reflections and groundbreaking advancements, it is undeniable that his output has opened up a wealth of possibilities for the future course of Art History. Since the early 1960s he has considered all genres of painting, delving into and pushing the boundaries of theoretical and aesthetic levels of understanding whilst exploring and challenging the fundamentals of their development. However, his extraordinary odyssey into the realm of abstract painting is often regarded as the culmination of his artistic and conceptual enquiries into the foundations of visual understanding. After decades of exploring the role of painting in relation to competing visual cultures; film and photography; and even painting itself, the emergence of the Abstraktes Bild stands as the crowning achievement of his oeuvre. As Benjamin H. D. Buchloh has highlighted, and as there can be absolutely no doubt, Richter's position within the canon of abstraction is one of 'incontrovertible centrality' (in: Exhibition Catalogue, Cologne, Museum Ludwig and Munich, Haus der Kunst, Gerhard Richter Large Abstracts, 2009, p. 9). Although the title Abstraktes Bild that Richter has given to the impressive works he has produced since the 1980s is typically translated as 'Abstract Painting', the curator Robert Storr restores the meaning of Bild as 'picture', implying something beyond mere painting, and as this 'reinforces the impression...of shoals, riptides, and cresting waves amid the paintings' scraped and layered pigments' (in: Dietmar Elger, Gerhard Richter: A Life in Painting, Cologne 2002, p. XIII). The present Abstraktes Bild, executed in 1990, is a breathtaking masterwork of this epic cycle. 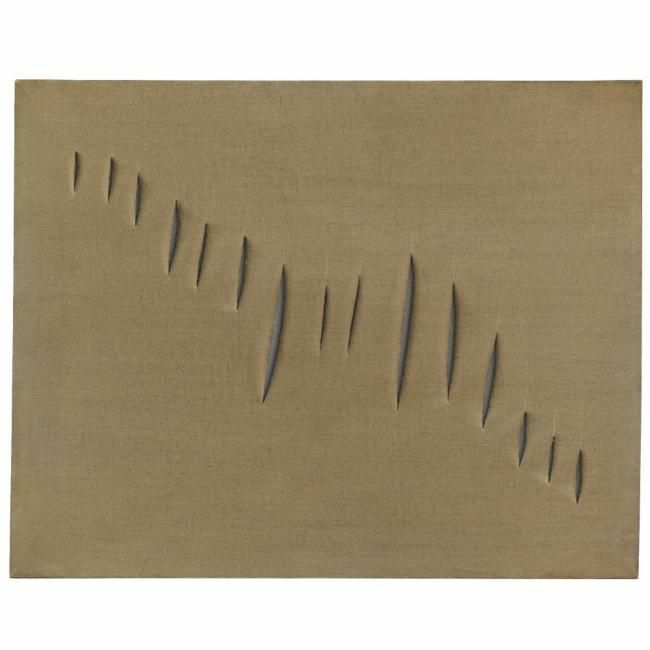 Belonging to the concise 725 series of just five works, which includes examples currently housed in the National Gallery of Victoria, Melbourne (725-3) and Kunstmuseum Bonn (725-5), this museum-quality work is a paragon of the artist's most arresting and seductive language of abstraction. One of Richter's most stylistically stunning works, it measures in excess of two by two metres, thereby functioning on a monumental scale and enveloping the viewer entirely and irresistably into its chromatic expanse. The oil painting is organised by a central 'seam' that runs vertically down the canvas creating two sections that are distinct in terms of the artist's palette. There is a deep earthy red that runs consistently through the entirety of the painting, appearing most prominently around the edges of the canvas and down the central divide, and each side has been worked and re-worked with layers of thick impasto resulting in two subtly different halves that resonate both in concert and strive against each other. Although the present painting is fundamentally non-representational it emanates a shimmering fluidity that evokes a watery reflection or even an oil slick, an effect that the artist achieves by drawing a squeegee horizontally across the canvas creating paint tracks from the central seam to either side of the canvas. Richter's intense manipulation of the surface conjures a sensation of infinite paint layering. 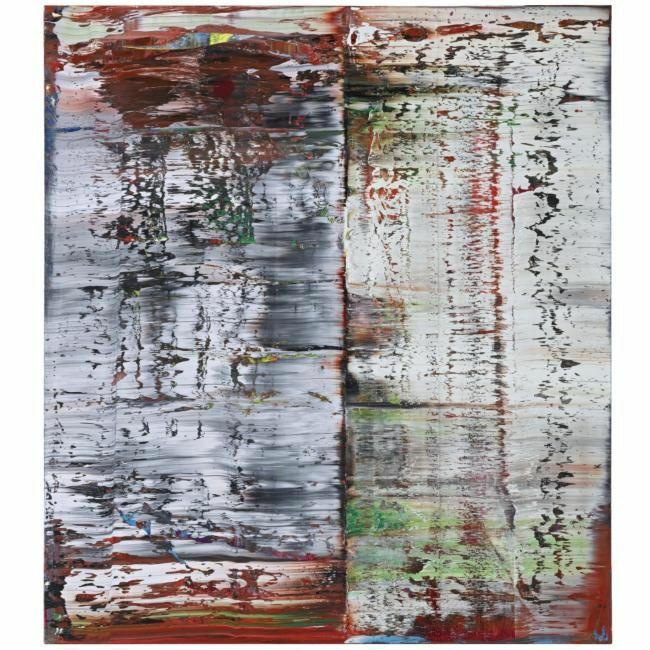 Abstraktes Bild is arguably the most visually impressive of a number of large abstracts that Richter produced around the same date, several of which, born of the same techniques, share chromatic schemes. Amongst these are three paintings of 1989 titled, November, December and January that are housed in the St. Louis Art Museum, and two paintings of the same year Swan (2) and Swan (3) now in the Philadelphia Museum of Art and the Museum Boijmans Van Beuningen, Rotterdam, respectively. The particularly striking aesthetics of Abstraktes Bild were produced at the height of Richter's technical development. 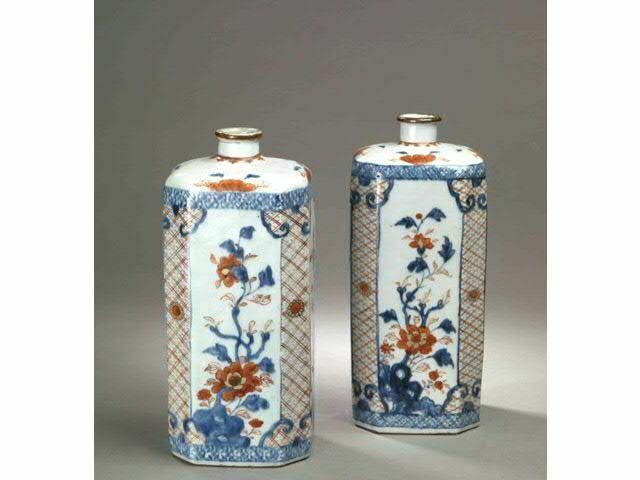 His expert practical ability, most notably a remarkable proficiency when employing his chosen utensils to manipulate the thick layers of oils, is combined with an intellectual sophistication. The result is an exquisite painting that embodies the fully mature aesthetic of the artist's abstract vision and is consequently an imperative work in his diversely abundant oeuvre.